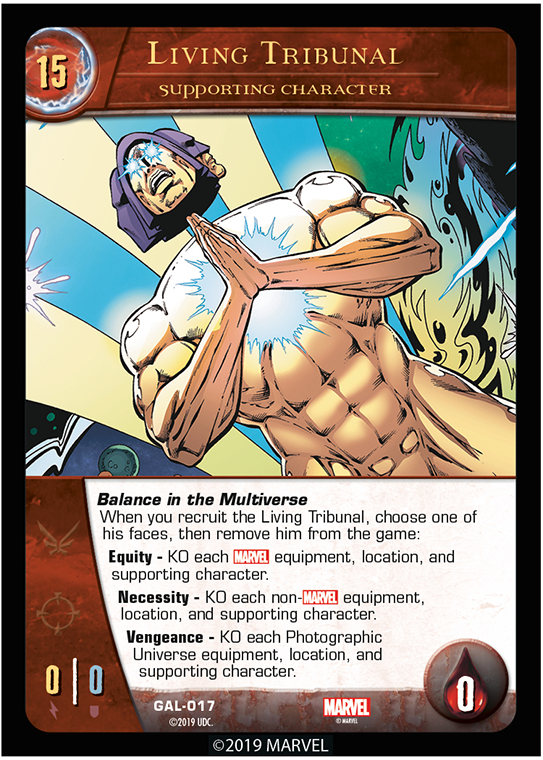 Welcome to our second preview for the Galactic Guardians Issue in the Infinity War Arc for VS. System 2PCG! 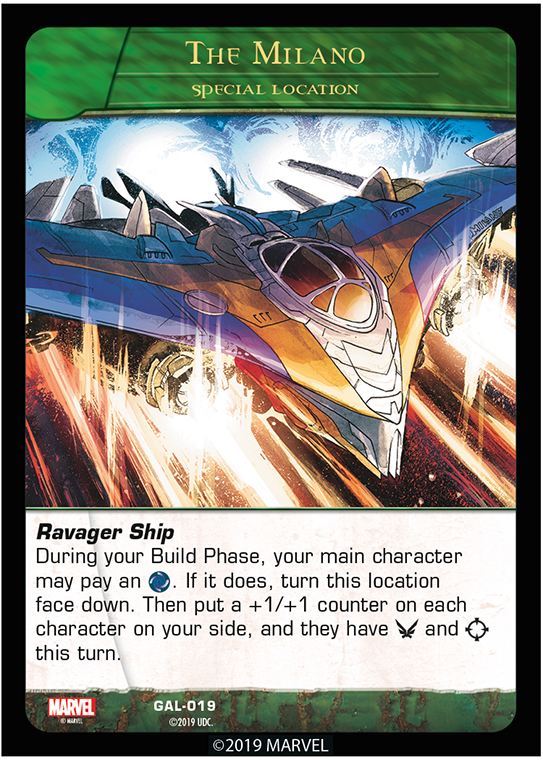 Today we only have three cards to show you, but they’re doozies. Let’s start with a spaceship shall we? Well, that card will certainly give your team a lift! They don’t count as locations with a specific power symbol (for powers like Black Widow Main Character’s Level Up power Red in Her Ledger or Zzutak’s Paint To Life). 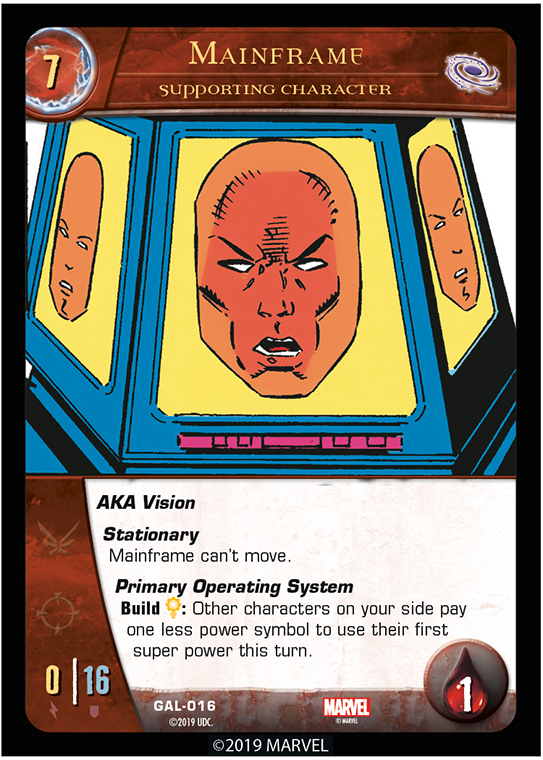 Sticking with our mechanical them, how about a look at what one version of Vision is up to. player uses a push or pull effect on him or rearranges your formation. He’s a huge computer, folks. Also, When Mainframe uses Primary Operating System it applies only to characters that are currently on your side. It doesn’t apply to characters that appear on your side later that turn. Even though he’s a huge computer, he can’t do everything! Our last card today has nothing to do with machines, but he(?) is certainly not your average being!